How Ian Fleming ruined my life. 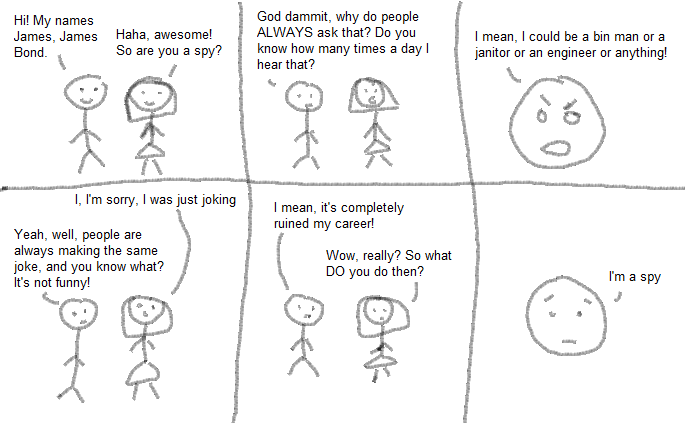 Comic 34 - How Ian Fleming ruined my life. "Which, on reflection, was a poor career choice"